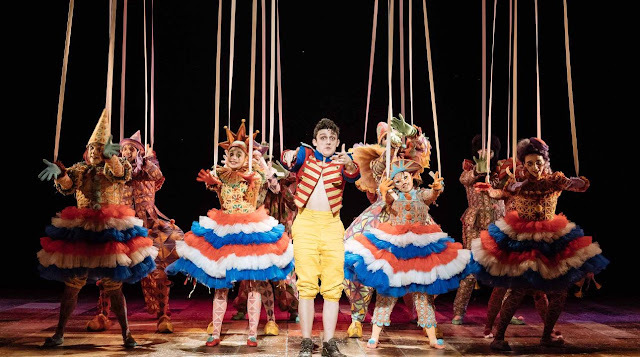 On Friday evening, I had the absolute pleasure of accompanying my good friend (and fellow Disney devotee) to the National Theatre's production of Pinocchio. Plus, I did my research before going and I had a programme so I kind of knew this would be the case already! Just like the animated classic. "Oooh la la!" The stand out performance for me was definitely Audrey Brisson in the role of Jiminy Cricket. I really loved that this character had been changed from male to female, giving Jiminy an almost 'motherly-like' quality and enhancing the relationship between herself and Pinocchio in doing so. The change in gender also made me realise that Disney's 1940s Pinocchio would almost certainly fail the cinematic Bechdel Test, so female Jiminy was a very welcome addition for this reason also! Audrey Brisson's neurotic characterisation of Jiminy lead to many laughs throughout the audience and was an excellent demonstration of truly brilliant puppetry. I completely forgot that Brisson was present part way through the show! 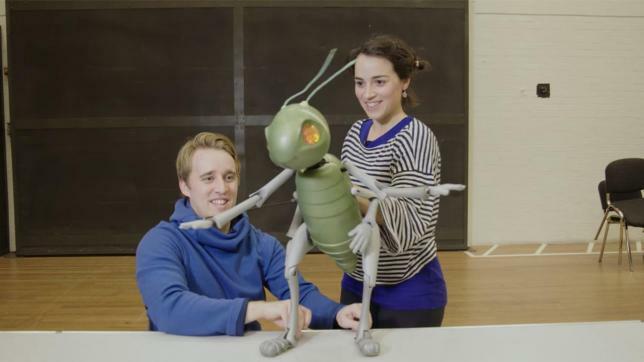 I was totally invested in Jiminy as a fully realised character and this was, I feel, a real testament to both Audrey Brisson and James Charlton, Jiminy's puppeteer. Great job! The show states that it is appropriate for 'brave 8 year olds' but I personally think that younger children would also fall in love with it; there weren't that many frightening moments and the drinking, smoking and violence featured are no more severe than what is present in the 1940s Disney version. Overall, I had a wonderful time and would definitely recommend buying a ticket if you can! I would certainly love to go back and enjoy it all over again.